No matter where you live, pool workouts are fantastic for any fitness level. Within this post, UV Pools, the best inground pool company, discusses the benefits of pool workouts. Some folks think about pool exercise and instantly picture someone elderly or injured, but that isn’t the case. Some of the most in-shape people who work out routinely use swimming as one of their exercise routines. Pro swimmers are very fit and must be, so they have the ability to compete. As you’re exercising in the swimming pool, all that’s required is water. 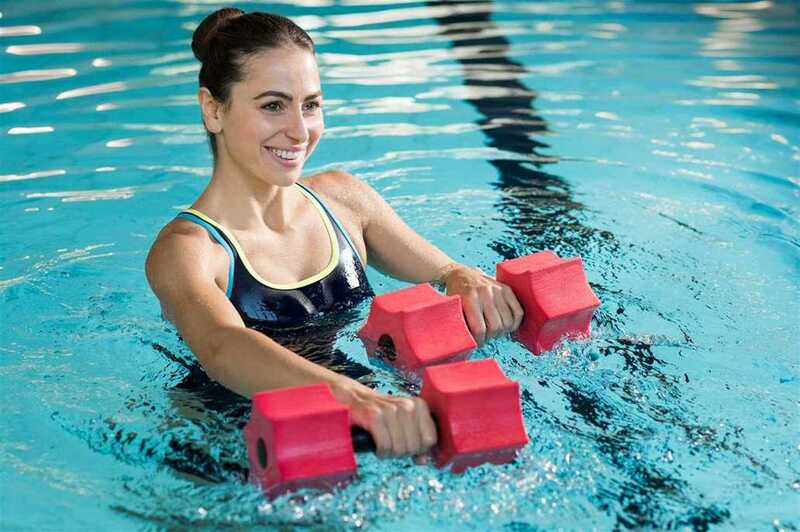 The water is sufficient resistance to work the muscles and provide you the effort necessary to offer you a workout. As you enjoy your workout routine, you’re more likely to continue it. Swimming pool workouts are enjoyable and fun and it’s the reason why so many folks discover themselves losing weight after beginning a pool workout. Consistency is important to weight loss and if you keep continuing with your workouts, you will begin to see results. As you’re in colder water, the blood moves throughout the body at a quicker pace so it can heat you up. As you have cooler water and an aerobic program combined, you’ll start to improve your cardio performance. Whether you’re elderly, injured, or prepared for a recovery day, low-impact workouts will assist in keeping your body moving yet keep you from doing a movement that could injure you. There are several workouts to do in the swimming pool that aren’t going to injure you because the water assists in supporting your weight. Depending upon your level of fitness, you might have the ability to do things such as squatting that you would not have had the ability to do without the assistance of the water. In this day and age, we’re a stressed-out society. As you do swimming pool workouts, get the body moving and remain consistent, you’ll see that your stress levels are decreased and you have the ability to think more clearly. It also is oftentimes easier for you to relax the remainder of the evening after you have blown off a little steam inside the pool. If you do not already have your own swimming pool, you might want to invest in one. Having your own swimming pool enables you to get swimming pool workouts in without going to the gym, find a friend who has a pool or visit a club pool. As you have your own swimming pool to perform your pool workouts, you’re more likely to get inside the water and get those workouts in. If you need assistance in getting your swimming pool project up and running, we’d be glad to speak with you and guide you through each step of the process. UV Pools has been working with clients like you for years and would like to create another satisfied customer.